When does “no” really mean no? The fact that we are still debating this question shows just how much we really need Cristien Storm’s Empowered Boundaries. Today, there’s even backlash against increased protections for vulnerable populations, not to mention an upsurge in white nationalism and white supremacist groups. Increased violence against women, the LGBTQ community, immigrants, and people of color are evident; social safety nets designed to protect the sick, the disabled, the poor, and children are in danger. 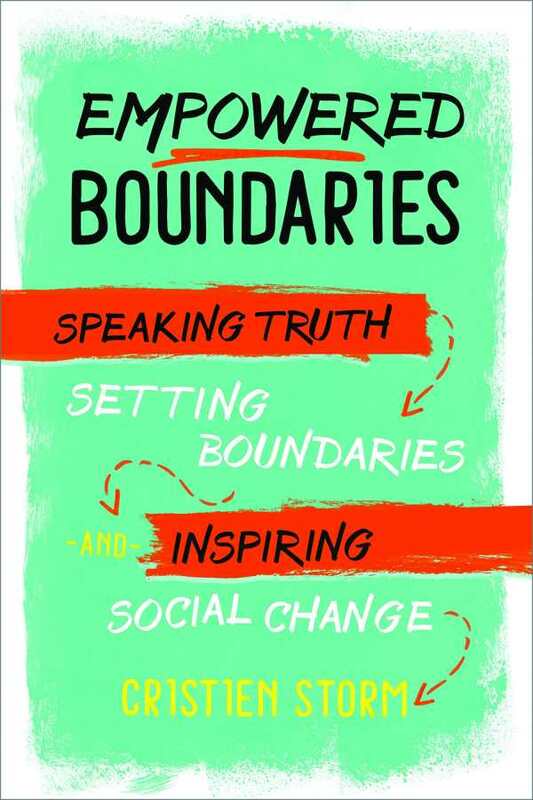 Storm’s book shows how essential setting boundaries is to standing against violence, creating safe spaces, and building stronger families, communities, and nations. Storm honed her boundary-setting skills as a young adult involved in the San Francisco Bay Area’s punk rock music communities, kicking out invading organized Nazi groups. She now is a mental health therapist, cofounder and former executive director of Home Alive, and cofounder of If You Don’t They Will, a Seattle-based partnership that provides training related to dealing with hate groups and white nationalism. Not just theoretical but practical and useful for individuals and groups, the book provides exercises in boundary-setting skills and clarifies why individuals and groups have a right and a responsibility to set them. It explains the “messy and complicated process” of establishing different kinds of boundaries and distinguishes between people’s opinions, to which they have a right, and dangerous, hate-filled ideologies against which strong, empowered boundaries must be erected. Whether or not we want them to be, our boundaries are not just personal but social and political, shaping communities by expressing what is allowed to exist within them. Those who set empowered boundaries comprehend that for our “yes” to be valid, our “no” must be equally so, and that there is power in each.